Your opponent must show all cards in their hand. Flip a coin. If heads then the defending pokemon is now paralyzed. 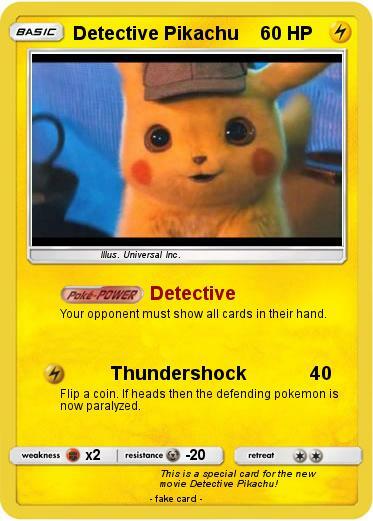 Comments : This is a special card for the new movie Detective Pikachu!